Everyone has at least one film that they can watch time after time. It’s a form of escape to forget about life’s struggles. Viewers can unwind with something that makes them feel happy and relaxed. Knowing that there’s nothing about it that’s going to change as the years go by. This list includes some of the mainstream’s most popular movies to rewatch stretching across multiple genres. Whether it’s a childhood classic or a recent cinematic blockbuster, there’s something about these movies that makes them stand out. Some of the best rewatchable movies come from childhood nostalgia. 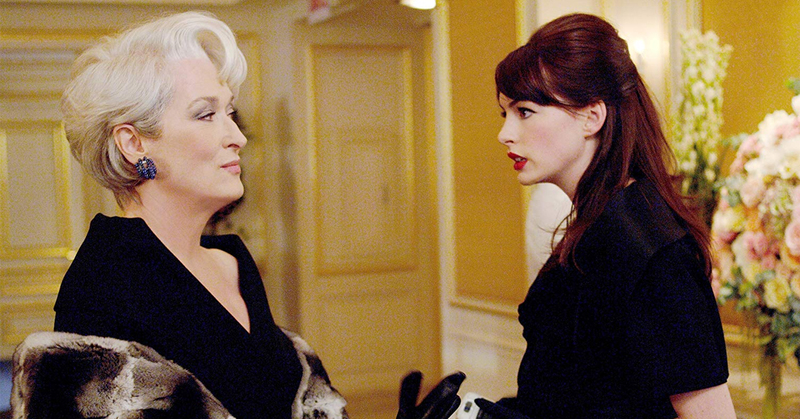 Meryl Streep steals her scenes in The Devil Wears Prada as Miranda Priestly. Her role is iconic due to Miranda’s highly demanding and witty persona. She could take a monologue about a sweater and turn it into a brief history of fashion without breaking character. Anne Hathway as the protagonist is what gives the movie heart, but it wouldn’t be as rewatchable if she didn’t come into contact with Streep. Their yin-yang dynamic pushes them both to make character transformations by the film’s end. 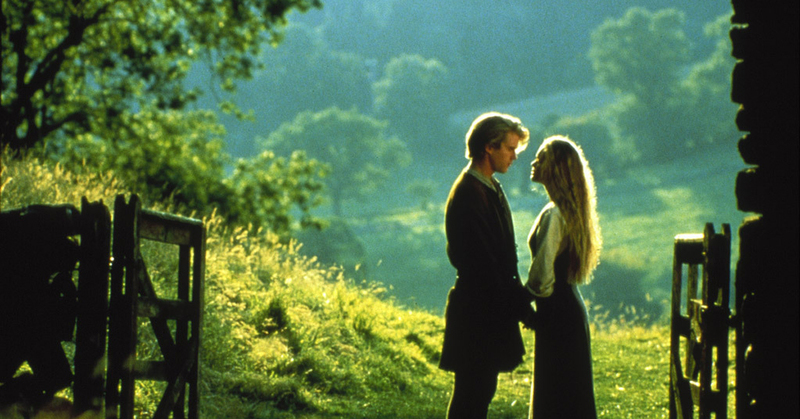 It’s difficult to fit The Princess Bride into one genre. The story has satire, adventure, fantasy, romance, and comedy all throughout. This is why it’s so rewatchable and people of all ages and backgrounds can find something they enjoy about it. On the outside of the storybook tale are a young boy and his grandfather. The grandfather recalls to him about a dashing farmboy-turned-pirate in a quest to reunite with his true love. Along the way, the audience is introduced to some of the film’s most memorable characters like Inigo Montoya, Fezzik, and Prince Humperdinck. Also, look out for some witty one-liners and laughable gags. John Hughes was known for making some of the most rewatchable movies, making The Breakfast Club still relevant after over three decades. It doesn’t rely on flashy cinematography or special effects, but instead takes five spirited high school students and focuses on their new connection to each other. Each of their contrasting personalities gives the students relatability. One of the film’s most memorable scenes is them simply sitting in a circle and talking about how they got into detention and their family life. These outcasts are able to make powerful character transformations by the end of the movie leaving viewers wondering what will happen to them when they return to school. Forrest Gump remains one of the best movies to rewatch. After it premiered it was recognized by the Oscars with many awards such as Best Picture, Best Actor, and Best Director. The lovable Tom Hanks only improved his career by playing Forrest, an Alabama man with an IQ of 75. Many of history’s important events were shown through his eyes like John F. Kennedy’s presidency, the Vietnam War, and Watergate. The audience can look at these famous historical events in a more simplistic way, but still attach a great deal of meaning to them. 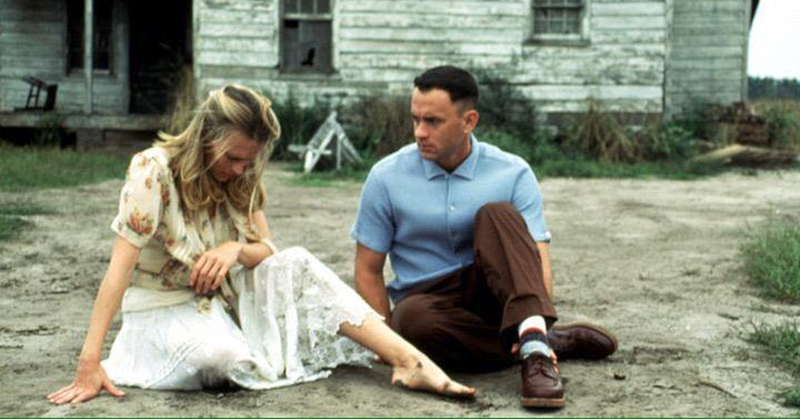 Forrest’s love for Jenny demonstrates that even through his mental struggles, he is able to find genuine emotion for his true love. Which Reese Witherspoon movie made the list? Find out now! On the surface Legally Blonde might seem like a stereotypical “chick flick,” but it’s actually rooted in female empowerment and discovering one’s true potential. 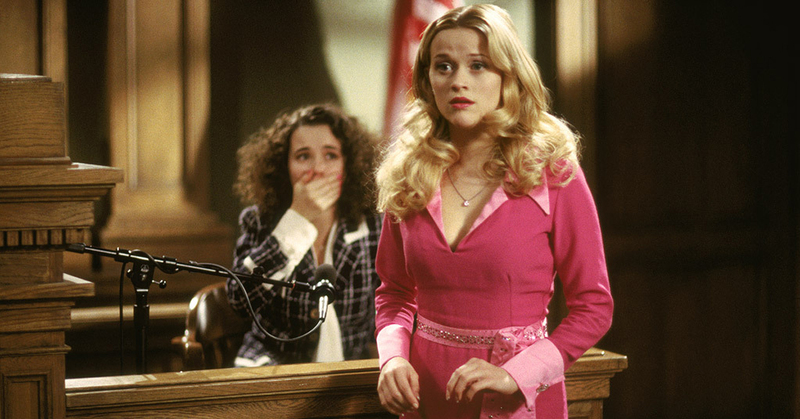 Reese Witherspoon as the bubbly, yet determined Elle Woods was casting at its finest. Audiences can watch this film countless times due to just her timeless performance. At times the plot may seem unrealistic and over the top, but it’s Elle’s unique transformation from a carefree sorority queen to a Harvard Law scholar that make it worth watching until the end. Also, some other highlights include her original wardrobe, hilarious quips like the “bend and snap,” and her loyal and sassy best friend Paulette (Jennifer Coolidge). Quentin Tarantino still remains one of the top writer/directors in Hollywood due to his own personal style of storytelling. 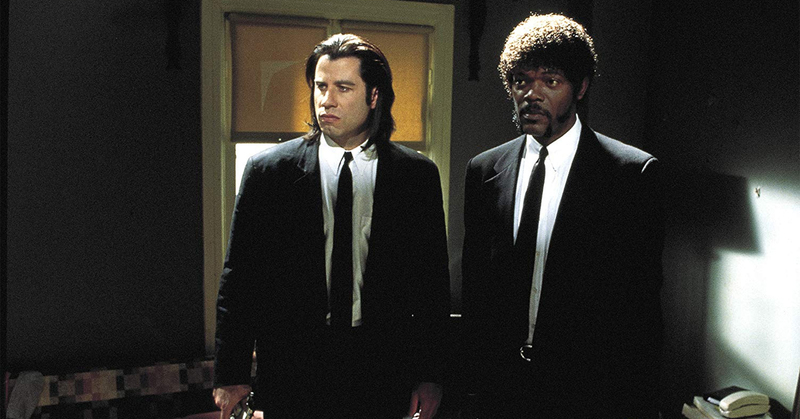 Fans come back to watch Pulp Fiction in particular because of its three-dimensional characters, fierce dialogue, and the complexity of each character’s plot intertwining with one another. The movie also has one of the best casts in cinematic history with huge stars like John Travolta, Samuel L. Jackson, Uma Thurman, and Bruce Willis. It may be a bit gory and graphic, but there’s so much to unpack in every scene that it’s hard to not want to know every detail. There’s usually a lot of conversation about movies adapted from books, but The Perks of Being a Wallflower stays true to the original novel while making necessary updates for a new platform. Charlie’s (Logan Lerman) story is something that almost anyone can relate to. He’s an introvert who feels like he doesn’t fit in with the people at his school. After finding some caring and welcoming friends that feeling starts to drift away. The themes of The Perks of Being a Wallflower are quite similar to a dark John Hughes film because it deals with teens in their formative years trying to find a place where they belong. 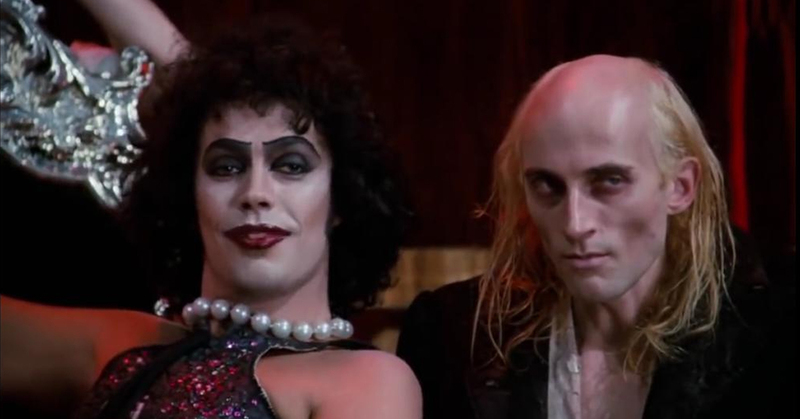 When The Rocky Horror Picture Show premiered in theaters in 1975 it was considered a major flop. Later on it became one of the most famous cult classics in history. Theaters around the world play the movie to this day with a live cast acting out the scenes and audiences bringing their own props. This musical comedy about a couple entrapped in the house of Dr. Frank-N-Furter and his bizarre housemates is for sure a strange story, but that’s mostly why it’s so good. Also, the songs are catchy, fun, and brilliantly performed with costumes that fit the movie perfectly. 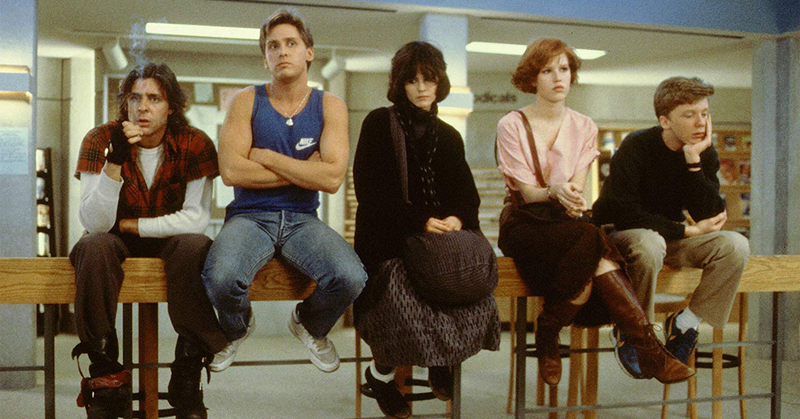 This next John Hughes classic is a must watch! Another John Hughes’ hit was Ferris Bueller’s Day Off. Its basic premise consisted of a high school boy wanting to skip school, but that’s just barely scratching the surface. Ferris is a cocky and fun-loving person who wants to make sure that the day isn’t just about him, but his best friend Cameron and girlfriend Sloane. His antics to outsmart Principal Ed Rooney and his sister Jeanie are cleverly funny and never get old. 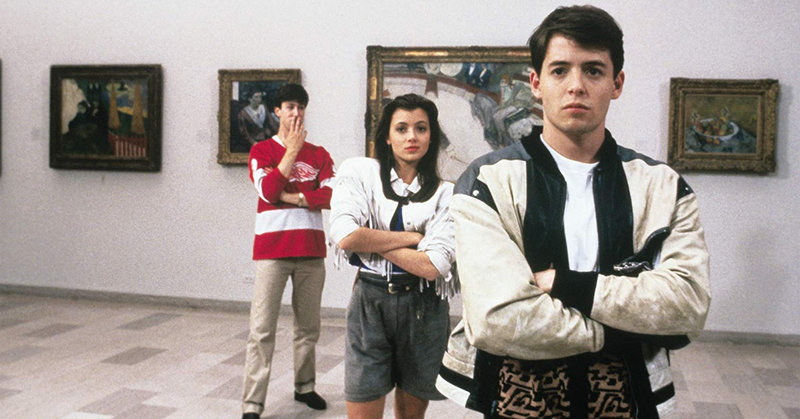 The scenes where Ferris joins a parade and does a musical number, goes to Wrigley Field, and enjoys an art museum are some of the most timeless feel-good moments in film history. 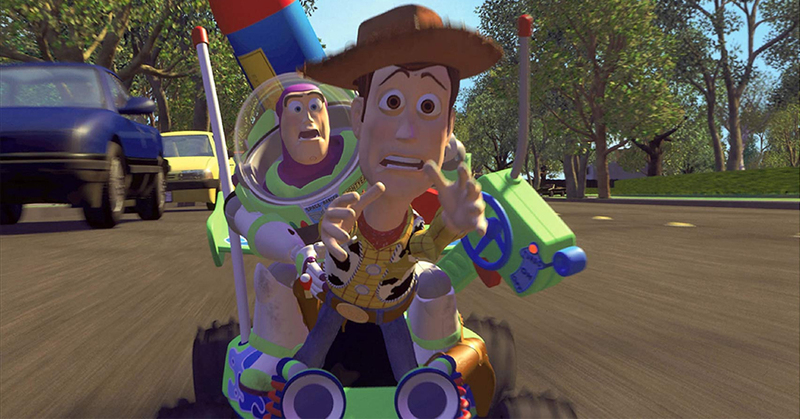 Starting out the Disney Pixar empire was Toy Story in 1995. This fun animated film answers the question of what it would be like if toys came to life. People of all ages can watch Woody, Buzz Lightyear, and their group of toy friends in their captivating adventures. One of Britain’s most famous 1970’s comedy groups was Monty Python. They created a popular sketch comedy show and a series of satirical films. 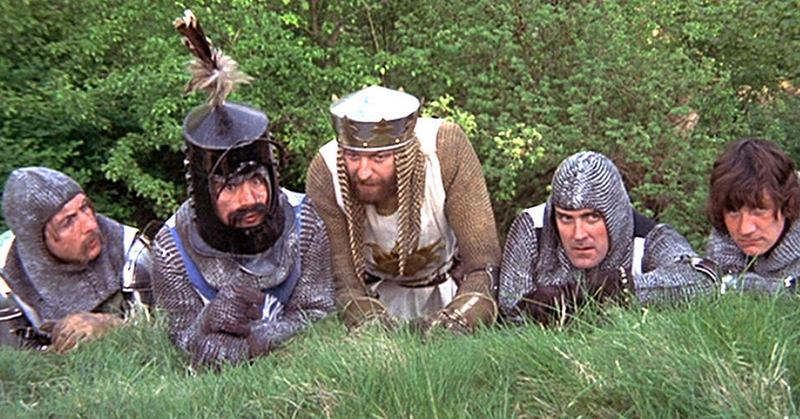 Out of all their work, Monty Python and the Holy Grail is best remembered by their fans decades later, even inspiring the hit Broadway musical, Spamalot. Each member of the group played various characters in the story of King Arthur and his Knights embarking on a quest for the Holy Grail. The humor is original and ridiculous while keeping a light charm throughout. After World War II Americans were in need of films that would brighten their spirits and make them feel hopeful. Singin’ in the Rain brought out some of Hollywood’s most talented stars (Gene Kelly, Donald O’Connor, and Debbie Reynolds) allowing them to show off their triple threat skills. 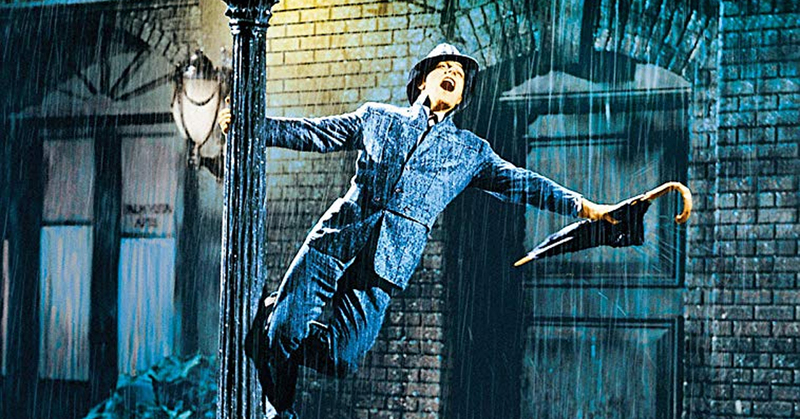 Singin’ in the Rain remains one of the most successful musical films because of its memorable songs, lavish dance routines, and especially the iconic Gene Kelly solo of the title song. Now almost seven decades later the film is a reminder of the capabilities from the golden age of Hollywood. Francis Ford Coppola’s work on The Godfather shouldn’t go unnoticed. Reviewers have named it as one of the best American films of all time. 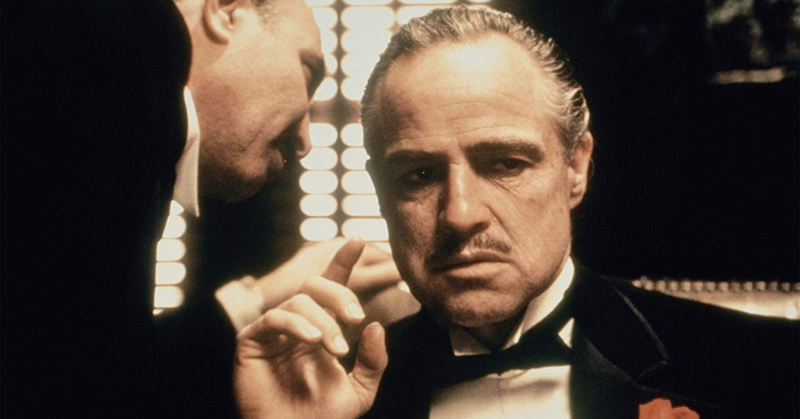 Fans still quote its famous lines such as, “I’m gonna make him an offer he can’t refuse.” Marlon Brando in the title role plus Al Pacino, Robert Duvall, and Diane Keaton give some of the most masterful performances of their careers. As a crime saga The Godfather is an epic three hour story that grips viewers into the lives of one of the most notorious mafia families. Its stunning cinematography and vivid dialogue keep viewers coming back and even paved the way for a couple sequels. 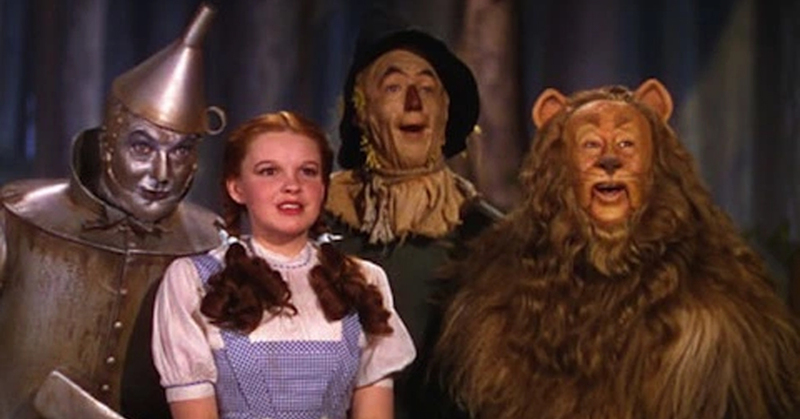 The Wizard of Oz is the definition of a classic Hollywood movie. After 80 years it’s still watched by new generations who are able to find something that they love about its story. Judy Garland gained universal fame as Dorothy with her wondrous singing and dancing. This film has all the making of a lifetime hit. The songs are some of the most famous around, each character is magical in their own way, and it has an even balance of good versus evil. Even at a time when Hollywood was starting to come into its own, the production pulled off expert costume and set design and also added some state of the art special effects. 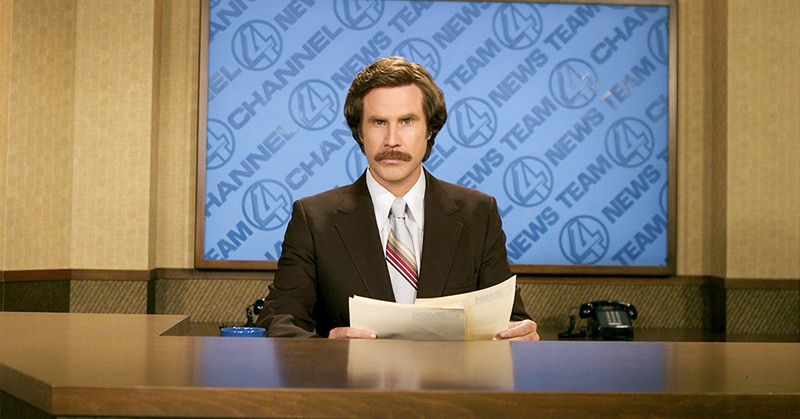 Will Ferrell is known for his numerous comedic film and TV roles, but his talents shine through in Anchorman: The Legend of Ron Burgundy. Ferrell plays a 1970’s San Diego news anchor in a male-dominated industry and it all starts to change when Veronica Corningstone (Christina Applegate) is hired to be his co-anchor. There are so many quotable lines and just pure silliness that exists in Ron Burgundy’s world. Also, his buffoonish co-workers played by Paul Rudd, Steve Carell, and David Koechner only add to Ferrell’s performance. This film is easy to watch over again due to the hilarious jokes and absurd adult humor. 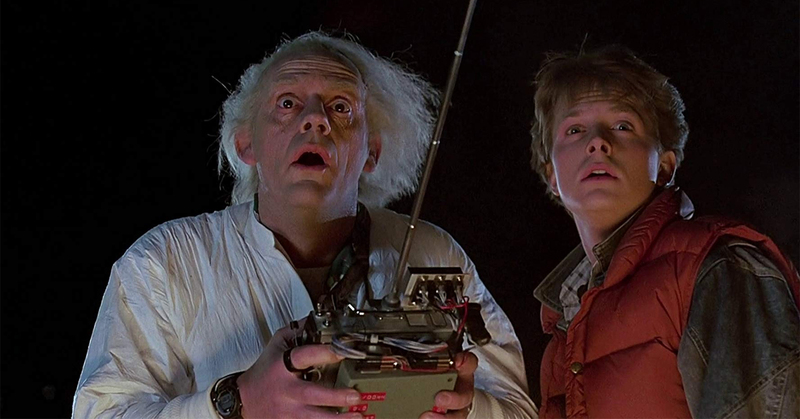 Besides the John Hughes movies of the 1980s, Back to the Future is still one of the most watched from that decade. This time travel saga is inventive, wholesome, and full of cinematic imagination. It starts out with Marty McFly as a teen in the 1980s and with the help of his scientist friend he’s sent back to his parents’ teen era of the 1950s. It’s rare to find something that parents and kids can watch together and both enjoy. Back to the Future is a clever mix of fantasy, adventure, and comedy with the fun contrasting music from both time periods. Macaulay Culkin is best known for his childhood lead role as Kevin McCallister in Home Alone. After almost three decades it’s become one of those classic films for people to watch over the holidays. 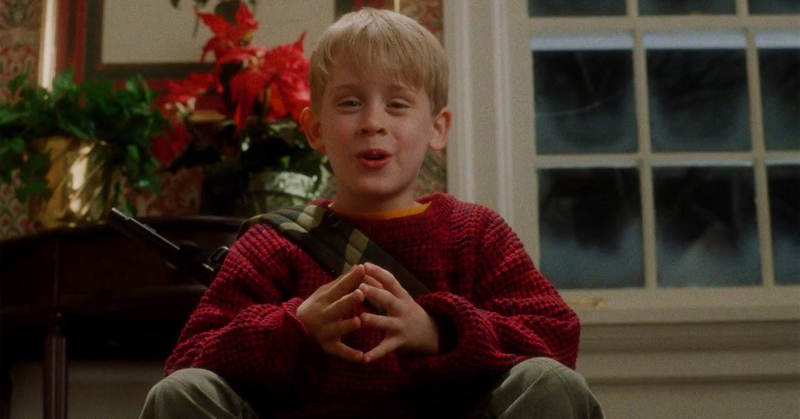 Culkin’s cute and wisecracking performance as a kid outsmarting the idiotic burglars out to get him when he’s left by himself brings laughter to audiences everywhere. Just like other rewatchable movies, there are tons of memorable quotes, wacky supporting characters, and a feel-good theme. John Hughes knew what he was doing when he wrote the part of Kevin with Culkin in mind. Those who grew up watching Disney films know there’s definitely a nostalgic essence that runs through. The songs, lively characters, adventurous stories, and beautiful animation are much-needed ingredients for a rewatchable movie. This rings true in 1994’s The Lion King. Audiences are able to watch Simba the lion cub grow into a mighty king of the animals on the Savanna. It wouldn’t be nearly as popular without its soundtrack by Elton John. 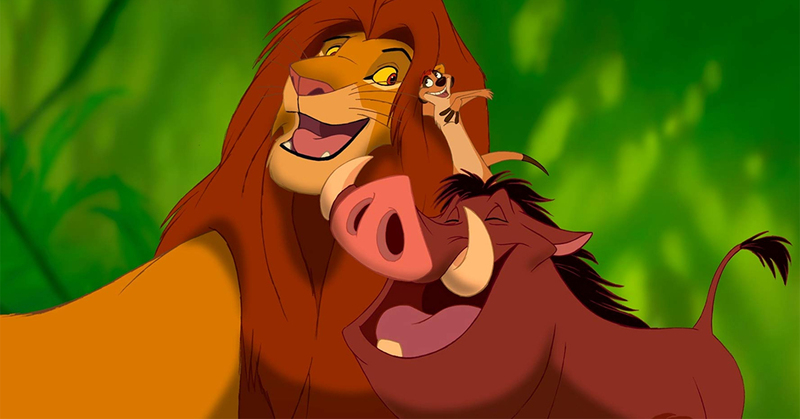 Hits like “Hakuna Matata,” “Circle of Life,” and “Can You Feel the Love Tonight” heighten the plot with melodic infrastructure. Also, fans of the original should be on the lookout of a remake coming out later in 2019. There’s something about a classic musical film that gets audiences to watch and sing-along for decades. 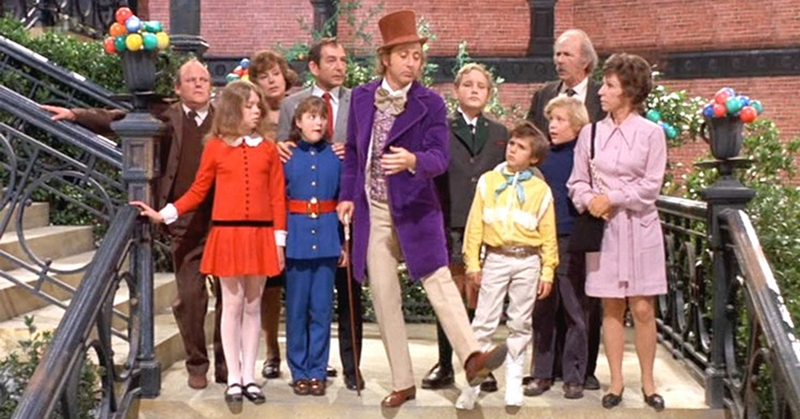 Gene Wilder as the title character in Willy Wonka & the Chocolate Factory does a brilliant job of balancing the insane, sincerity, charm, and absurdity. Modeled after the novel by Roald Dahl, the film adds vibrancy and hilarity to an already magical story. Each of the child actors alongside Wilder is able to hold their own as performers. The set designers used a lot of pure imagination creating the factory with it looking good enough to eat. Even after the movie is over fans are sure to remember the wonderfully exciting musical numbers. This next movie with a female-led cast broke box office records. 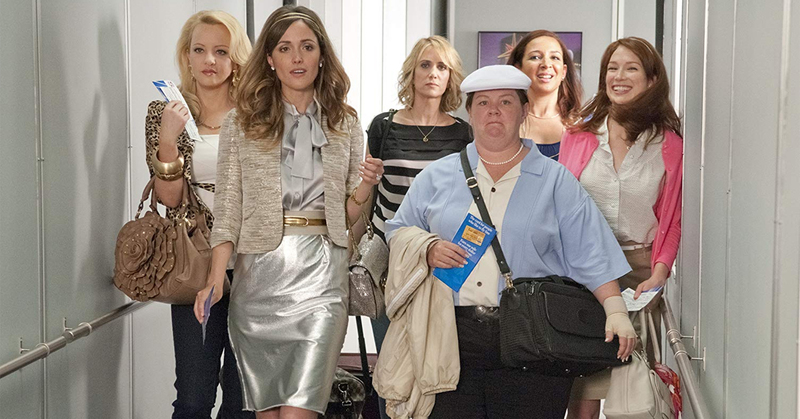 Before Bridesmaids, it was rare to find a female-driven mainstream comedy. It set the bar for the genre with a purely talented cast and their beyond silly antics. While the cast is mainly female, the film refuses to let that box the characters into what they can do. There are countless hilarious scenes such as their experience at the bridal shop and their airplane fiasco. Kristen Wiig proved she could step away from Saturday Night Live and lead a movie that’s both authentic and infectiously funny.